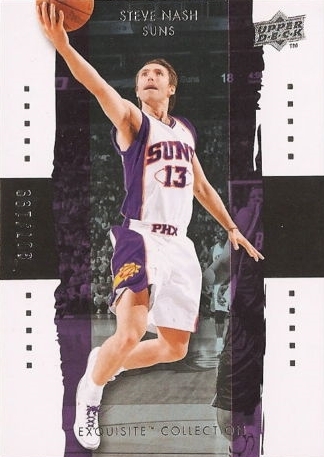 I’ll admit that I was one of many who criticized the Phoenix Suns for resigning two-time league MVP Steve Nash this offseason. After all, with his stats slipping slightly last year, wasn’t he about to enter the downside of his career at age 35? The Suns were also poised to have a down year after losing Shaquille O’Neal to the Cleveland LeBronettes. Well, we all were apparently wrong on both fronts, since Nash and the Suns have been the pleasant surprise of the early portion of the NBA season. Although it’s really early, Nash seems back to his MVP caliber form. Nash’s supposed “down season” (statistically, anyway) in ’08-’09 probably had more to do with the plodding half-court style of play that they employed to get the most out of the “Big Shaqtus” and Amare Stoudemire than a sudden erosion of his skills due to the onset of old age. This year, under head coach Alvin Gentry, the Suns are once again lighting up scoreboards and leading the NBA in scoring at more than 110 ppg. During the first two weeks of the season Nash has been outstanding, leading the league in assists at 11.8 per game. He is more than two assists better than Deron Williams at 10.7, and Paul at 9.9. Another good sign is his scoring, which is at 17.3 ppg, ranking third on the team. He is also shooting an impressive 48% from three, and more than 92% from the line, which currently ranks fourth in the league. He’s already had five double-doubles in points and assists in his first eight games, including two 20 assist games. On November 9th, in a game against the Sixers, Nash single-handedly dropped more dimes (20) than the entire Sixers squad (14). His assist-to-turnover ratio of nearly 3-1 is equally outstanding. In total, he already has 118 assists to only 42 turnovers. The Suns have been especially impressive when you consider how everyone, myself included, thought this would be the beginning of the supposed lean rebuilding years in Phoenix. But there must be something in the water in Arizona, since NBA veterans who play there seem to be rejuvenated. Grant Hill, who has had a potential Hall of Fame career stolen from him because of a myriad of injuries, is again playing with passion and is averaging an impressive 13.3 ppg while leading the team in rebounds per game (8.2) from the small forward position. Jason Richardson, who has two Slam Dunk titles in his resume, also seems rejuvenated by being one of the leading scorers on the team at 17.5 ppg clip and 50% three point shooting. Amare Stoudemire has slowly been rounding back into form coming back from injuries, averaging 18+ ppg and more than eight rebounds per game . . . and is still capable of much more. 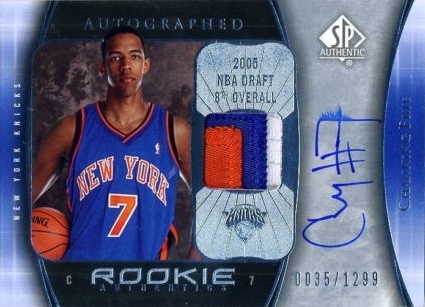 The biggest surprise of all on the team has been the outstanding contributions from Channing Frye (12.9 ppg, 7 reb, and 44% from three), who may finally be harnessing the promising potential the Knicks thought they were getting as the 8th overall selection in the ’05 NBA Draft. Frye has proven to be a steal in the free agent market this offseason with his relatively cheap two year and $3.8 million contract (he averaged only 4.2 points and 2.2 rebounds off the bench for Portland last season). The bench has also been key to the Suns’ 10-3, Pacific Division leading start. Leandro Barbosa has provided excellent scoring (12.0 ppg) and three point shooting (45%). Jared Dudley, in his third season out of Boston College, is living up to his nickname “The Junkyard Dog”, by providing his usual hard-nosed defense (1.4 steals per game) with some newly found offense (10 ppg) in little more than twenty minutes per contest. Lou Amundson mixes it up against opposing big men by providing rebounding and defense in the painted area. By the numbers, Phoenix has arguably been one of the league’s top teams by leading the NBA in scoring, assists, offensive rebounding, FG percentage and three point percentage, even though they are giving up the sixth most points per game at more than 105 allowed. Western Conference teams should beware: the run-and-gun, rapid fire attack is back in the Land of the Rising Sun. Barring injury, the Phoenix Suns could compete for one of the top six playoff seeds. While there are many factors to their white hot start, it’s undeniable that the improved play of their two-time former MVP point guard is the spark to the high powered Phoenix offense.